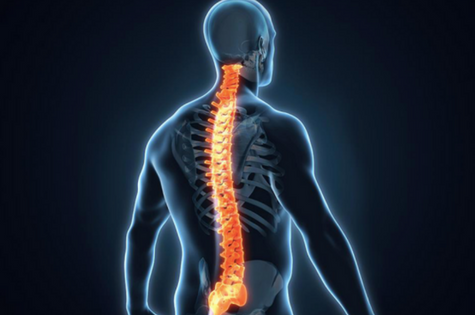 The spine is one of the most important parts of our body and serves a number of purposes. It is made up of 24 moveable bones that support our weight, hold us upright and plays a pivotal role in all of our movements. However, its most important function is protecting our spinal cord and nerves as they branch out to all the other parts of the body. The nervous system (the spinal cord and nerves) controls and coordinates all the other parts of the body and our movement. To be truly healthy, we must have a fully functioning spine and nervous system throughout our entire lifetime. However, our spine can easily become misaligned from a number of things including bad posture, wearing high heels, injuries, accidents, illnesses, strains, or just the wear and tear of everyday life. However, misalignments are not always easily identifiable; many times, people in all kinds of health conditions, ages and lifestyles are living their lives while dealing with misalignments without even realizing it. When the spine becomes misaligned, it can affect your health and function in a variety of ways. The most common issues it causes are headaches, fatigue, back pain, indigestion, stomach cramps/discomfort and trouble sleeping. Misalignment, if left untreated, can become quite serious. Over time, the spinal bones & discs break down causing a lot of pain and reduced range of movement and the misaligned condition becomes progressive and degenerative, making it worse to live with and harder to treat. The most common area of misalignment in the spine is your neck. The neck is a delicate part of the body, and when neck health is compromised, it can affect you in many ways. It is made to move, and can temporarily lengthen or compress the various structures in the area. However, if poor postural habits become permanent, it often causes problems. Pinched nerves in the neck can not only cause pain on the area, but also cause pain to radiate out into other areas of the body where those nerves send signals to such as your head or back. If muscles or tendons in the neck get too tight, or the cervical spine is out of alignment, this can impede upon the vagus nerve, which regulates almost all of the organs in the body, and diminish its functioning. This is just one example of the delicate balance in the body that is significantly affected by the positioning of and health of the neck. Luckily, spine misalignment can be treated easily early on. Receiving chiropractic services and adjustments to the spinal column on a regular basis is a great way to keep the entire body's health in a good condition. Many patients tend to report feeling significantly better, physically and mentally, after even just one adjustment to the spine. Also researching into what is the cause of your misalignment and eliminating it, or significantly reducing the activity can be detrimental with recovery and protecting your spine in the future. Our spine in one of the most precious parts of our body, serving many purposes in keeping us alive. A healthy spine, coupled with a healthy nervous system, is crucial in terms of maintaining whole body health, physically and mentally, so taking extra care with it and seeing a health professional regularly can improve your way of life.